As a sociologist and media scholar with an interest in emerging forms of civic engagement, I initially came to Jakarta - the world’s Twitter capital - to research innovative social media uses. Instead, my first visits to an informal settlement near an estuary, Kampung Tongkol, in 2015 in North Jakarta, revealed something more hybrid: mixed-media participatory mapping of the settlement’s physical and socio-economic infrastructure. They have also volunteered to partially remove their housing to make way for a road on the riverbank in the hope to avoid forced evictions, which usually happened to build a riverbank road. Since those initial visits, I have seen the three kampung, Tongkol, Lodan and Kerapu, become prototypes for sustainable flood prevention, stewardship of the river and small-scale economic development. I have observed the weekly cleanings of the Ciliwung, and documented composting and waste recycling and the growth of veggie and fruit gardens. This is how Jakarta has forced to the gambling table the residents of kampung Tongkol, Lodan, and Kerapu as well as many other communities affected by the development plans. They are betting their livelihoods, social and family networks and economic prospects, not only to save their homes and communities but also to envision a more sustainable Jakarta. They want to present an alternative global vision of urban development. 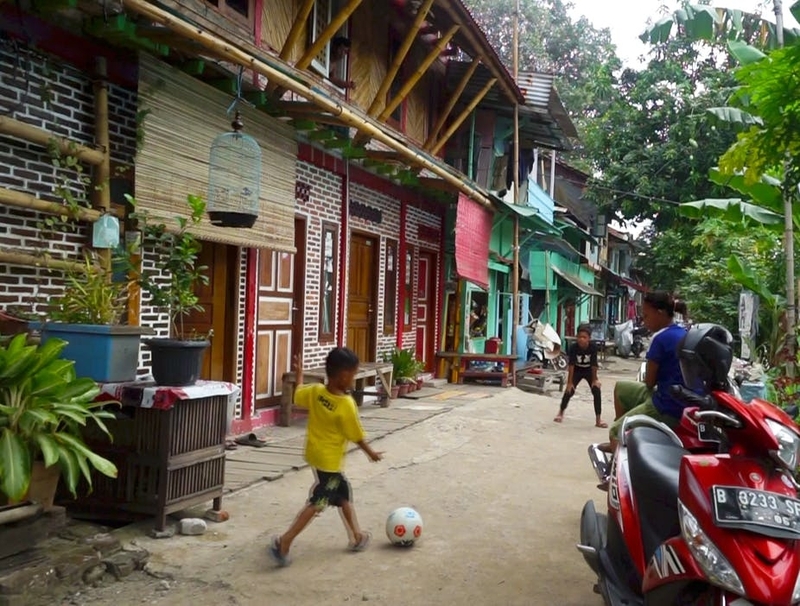 Groups like the Urban Poor Consortium and the Anak Kali Ciliwung Community in Tongkol, Lodan and Krapu have stopped waiting for the government to recognise their land rights and have been busy with sustainable planning, urban design and infrastructure creation to increase the social and economic value of the kampung. The autonomous creation of services is nothing new but this anti-eviction work has reached a whole new level of creativity and vision. To overturn the accusation that they are dirty illegal squatters, the residents of three kampung, local name for informal settlements, improved their kampung on their own. The improvement involved voluntarily slicing a section of their houses close to the Ciliwung Tributary to make more space for passage and activities. They did so, while using traditional and sustainable materials like bamboo to upgrade the remaining portion of these houses. This kind of work was only possible through capillary organising, participatory planning and by sacrificing much of what is needed for survival. Many researchers recognise the value of these socio-economic networks for a city like Jakarta. Supporting the work of Tongkol, Lodan and Kerapu is not simply a human rights effort, it is important because they contribute to a new vision of a megacity that gains value from sustainable housing, zero waste production, and small-scale, flexible economies. This recognition has led scholars from a variety of local and international universities to bolster this work with research and expertise. These interactions are deeply enriched by knowledge exchange between local communities and the scholars. A variety of NGOs and organizations from civil society are also interested in acknowledging and seeing this work scale up to include other kampung. Granting land tenure to the urban poor could turn these efforts into a well-organized experiment in bottom-up urban design. It would make Jakarta a leader in countering the global trend of expelling vulnerable populations from the core of society, which sociologist Saskia Sassen documents in her in-depth study of the global economy. 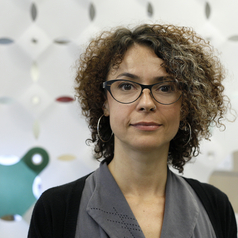 Alessandra Renzi has facilitated research and media production around flood mitigation in collaboration with the Urban Poor Consortium. Funding for this research-creation project was provided by Northeastern University.